Italy is the land where love is in the air, where art and lifestyle create the Dolce Vita and where the masters of entertainment are ready to surprise you organizing your perfect wedding day. Just try to imagine it, your especial day, your wonderful bride’s dress, the lovely gaze of your beautiful groom, all your friends and relatives smiling to you… everything seems absolutely magic! And, after the solemnity of the ritual, it will be the time to celebrate your wedding banquet so, let the music play, it’s party time! The most successful songs of all the years, the best known evergreen, classical tracks adapted for your cheeck to cheek dance, the soundtrack of your life or your love…the right music it’s not just a detail! Every moment of your wedding will need the right song or music,starting from the arrives of the spouses ,continuing with the banquet and ending with the fateful cut of the wedding cake. Diamante – your wedding in Italy will provide you a big choice! Live music, dj, choir, orchestra… whatever you desire! But an ideal entertainment is not composed by music only! Dance, live performances, fireworks, everything will make you happy can be realized. If you dream an elegant and sophisticated ceremony or a playful banquet with an authentic Disney’s fairytale atmosphere, Diamante – Your Wedding in Italy will realize your wishes. Actors, artists, musicians, dancers, performers, these are just few ideas of what you will have. Make your wedding unforgettable, share your love with all your guest and give them an authentic day of amusement and happiness. 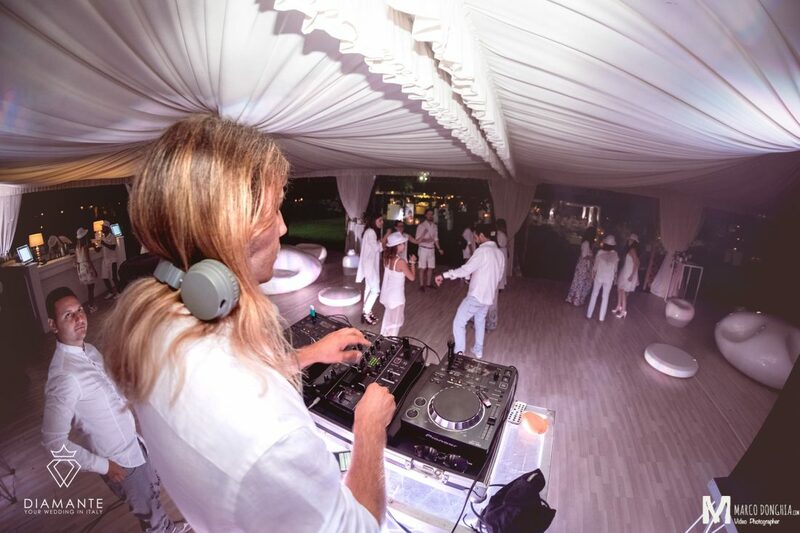 The entertainment is an authentic art, and Diamante-Your Wedding in Italy’s team will be the best artists.